Last November when Obamacare went into effect healthcare.gov went live with disastrous results. You had to fill out an application before seeing what prices are available, the website was down most of the enrollment period, and there was no clear way to enter in deduction to gross income in order to properly qualify for tax subsidies. This year things are supposed to be different and we should get a peak at the rates sometime next week when the enrollment period begins on November 15th. The mechanism for determining the tax subsidy that an individual or family receives is a complex formula based on income. Essentially the cost of a silver plan can be no more than X% of income based on what percent of the poverty line the customer is at. The subsidy awarded will be the difference between the price of the silver plan and the dollar amount for the percent of income determined by the formula. This subsidy amount stays the same whether a silver plan, gold plan, or bronze plan is purchased. Check out my ACA spreadsheet to calculate out how much you are expected to pay for insurance and what penalties you may owe. Here is where the situation gets interesting. By choosing a Bronze plan which can be a couple hundred dollars less per month than a silver plan, the consumer can get health insurance very cheaply, or even free, and can gain access to an HSA. In order to have an HSA you need to have a qualified high deductible health care plan. 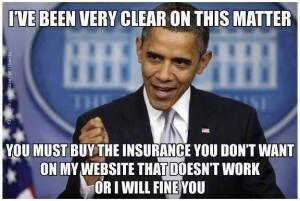 Through Obamacare there are qualified high deductible health care plans available at both the silver and bronze level. Contributions to an HSA, like a 401K or IRA will reduce the income used to calculate your subsidy. By saving 20% of income in tax advantaged accounts, the median family of four in America can potentially end up having very little, if any cost for health insurance. Using the median household income of $51,000 and the US Average inputted in this calculator for area, I came up with the following results for a family of four. This will vary by zip code as prices for plans vary across the country. Family A has a gross income of $51,000 per year. They save around the average for Americans of 5% in their 401K/IRA, leaving them with a MAGI of $48,450 for the year. Family B has a gross income of $51,000 per year as well. They save 20% of their pay between 401Ks/IRA/HSA contributions. This leaves them with a MAGI of $40,800 for the year. Saving money in retirement or in a HSA can significantly reduce the cost of insurance through Obamacare, which can save hundreds of dollars per month. The savings from a silver plan to a bronze plan in this example is roughly $1,500. The difference between the family saving 20% into retirement and the family saving 5% is another $1,100. This extra $2,600, or $216 a month is a lot of money, which from my point of view can be added to long term savings as well. For many Americans, without increasing tax deferred savings, or switching from Roth accounts to traditional accounts Obamacare makes health care extremely expensive. Without the tax subsidies plans can cost 2-3 times what they did in 2013. For years Mrs. C. and I did not have health insurance. In early 2013 in order to take advantage of a Health Savings Account we signed up for a high deductible health care plan in the private marketplace. (Neither of us have an employer sponsored plan). Our plan covers us and 2 kids for a total cost of $270 per month with a $10,000 family deductible. Last year we looked into getting a plan through the health care exchanges, but we could not get a better deal than we were currently getting through our own health insurance. What I was looking forward to as a benefit of Obamacare was that individuals would be able to buy plans at the same rate people in a group plan would have to pay, substantially reducing premiums. When I filled out the application online at the Healthcare.gov site, it asked me to input my income, which I gave them, but at no point did it allow for deductions before AGI, such as Health savings account and IRA deductions. Because of this our income was higher than the true MAGI that is supposed to be used by Obamacare and our available plans reflected this. The cheapest plan we could get would cost over 50% more than what we were currently paying, even after a generous tax subsidy, revealing one major issue with Obamacare. For the EXACT same plan that I have that I am paying $270 per month for, on the Obamacare exchange it costs over $700 retail price. Because they are giving me a “subsidy” of $300 per month, the price is ONLY $400 per month! what a deal! Only about 50% more than what I am already paying. 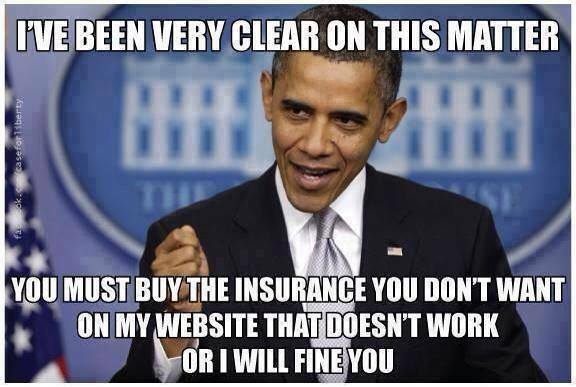 Needless to say I decided to stick with my current insurance provider rather than sign up for Obamacare. The sticker price of the same plan almost tripled, but now the government is giving me a tax credit to cover part of the cost. I don’t like the concept of someone else paying for a service I need, however since through this legislation the price for the same product has tripled AND I will be fined if I don’t use it AND my current insurance will no longer be offered in 2016 AND it is built into the tax code, I don’t have too much of a choice going forward. I recently visited the Healthcare.gov website and it appears that they will have it set up so that consumers can enter their deductions on the form. This will take my adjusted income down considerably. When I used this calculator which unfortunately still has 2014 plan costs, I qualify for a substantial discount on a silver plan, which would end up costing us around what we are paying now for insurance, but with a slightly better plan. 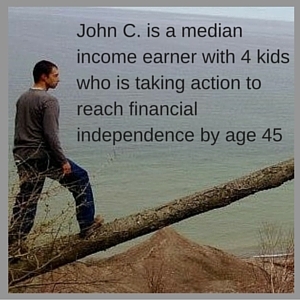 What I found to be really interesting is that for a bronze plan that is similar to my current plan my family would be paying $0 per month. My area apparently has higher plan amounts for silver plans, but not so much for bronze plans, resulting in a really good deal. It will be interesting to see when the rates are published what option will work best. Worst case scenario for 2015 I can stick with my current plan, but for 2016 I will have to sign up. As with tax planning and retirement planning, health insurance planning needs to be a large part of everyone’s financial plan. By taking action now, you can set yourself up for lower premiums next year and in years to come. 1. Contribute to tax defferred account. For 2015 I will most likely contribute more to tax deferred accounts instead of Roth accounts in part due to its effect on Obamacare premium rates, but also in order to keep my Federal tax owed at $0 so I can claim exempt from withholdings next year and in future years, and because of my long term tax planning strategy for retirement. 3. If a high deductible health care plan may work for your family, ensure that the plan you sign up for is HSA compatible. Did you buy a health plan through the health care exchange? What has your experience been like? 2 Responses to "Using an Obamacare Bronze Plan with An HSA"
I love love love your picture at the beginning of the post. While I’m happy for those who have found affordable insurance, for the most part no one I’ve spoken with has been better off under Obamacare than they were before. The “affordable” part of the law’s name is a complete misnomer. This law was never about providing insurance for people. It was about the government getting control of more of our money and creating another class dependent on the government. If anyone thinks it was designed to benefit the citizenry, why was it put under the jurisdiction of the IRA? I think for the vast majority of Americans it makes things WAY less affordable, and even for those who end up getting a decent tax subsidy the really big issue is that it increases government control over the economy. They can say “look at all these people who wouldn’t be able to afford health insurance without our program!” when in reality before they distorted the market, a lot more people could afford health insurance.